Fragrances always make for a great gift - for someone else or for yourself! 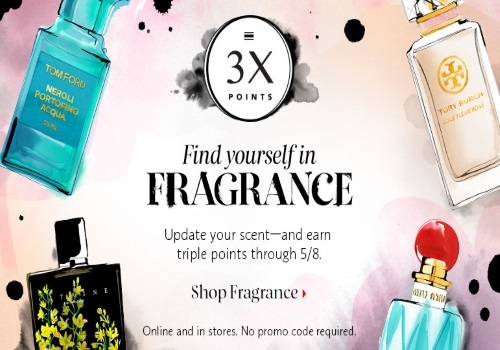 Sephora is offering 3x the Beauty Insider points on any fragrance purchases right now! Earn triple the points now through May 8 2016. Perfect in time for Mother's Day! This offer is valid in-store and online, no promo code is needed.